Friday, February 16, 2018 – 2:00 P.M.
Gene A. “Danny” Arthur, age 73, of Somerset, passed from this life on Sunday, February 11, 2018 at his residence. He was born on August 24, 1944 in Somerset, Kentucky, son of Bill Inabnitt and Bessie Arthur. Gene was employed as a Lineman in the Telecommunications field for a number of years. He was of the Baptist Faith and enjoyed hunting, fishing, camping and canoeing. He was a true outdoorsman and in his leisure enjoyed gardening and spending time with his family and friends. 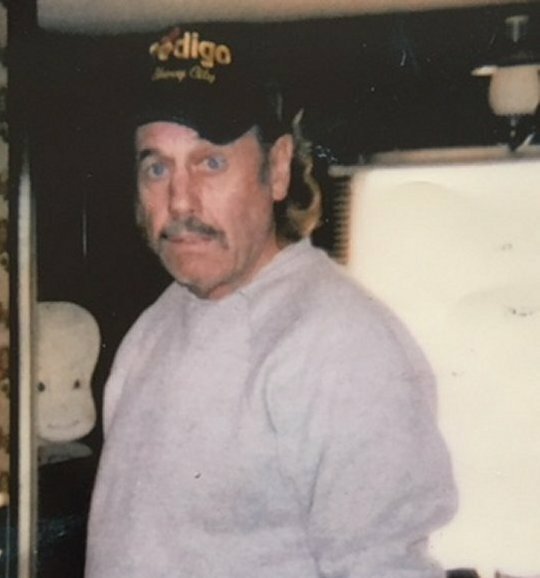 He leaves behind to cherish his memories; a companion of 18 years; Vickie Wooten of Somerset, sons; Davey Arthur, Phillip Crag and Travis Druin all of Somerset, daughters; Ronda Peterchef and Nadine (Jay) Whitaker of Somerset. A brother; Ronnie Inabnitt of Somerset and grandchildren; Jackie Sutton, Lilly Powers, Audrey Craig, Leah Arthur, Celeste Bradley Chandler Druid, B. J. Eldridge, Alexander Brown, Davis Druid, Lacy Arthur, Martin Hull and Maverick Druid. Along with five great-grandchildren and a host of other relatives and friends. He will be sadly missed by those who knew and loved him. Family and Friends will gather for a Visitation from 11:00 a.m. until 2:00 p.m. with a Celebration of Life Memorial Service at 2:00 p.m on Friday, February 16, 2018 at the Acorn Baptist Church with Bro. Harold Harris officiating. Southern Oaks Funeral Home is entrusted with the arrangements for Mr. Gene A. “Danny” Arthur.